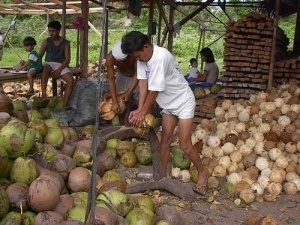 Heating the coconut milk emulsion at 55 C may enhance the incorporation of these phenolics into the oil; this may be the reason for increased amounts of polyphenols in Virgin Coconut Oil extracted by wet processing. 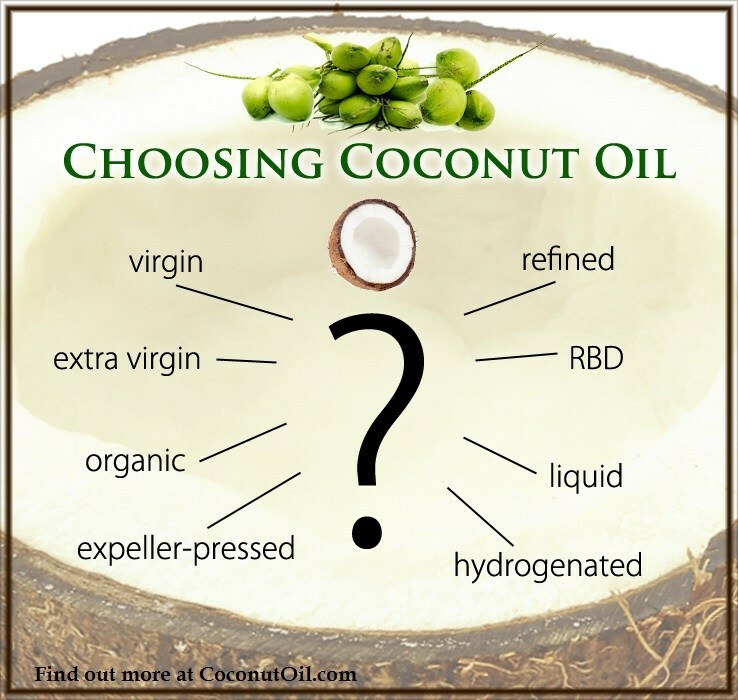 It can be concluded, therefore, that machine made “virgin” coconut oils that use no heat, or “virgin” coconut oils that do not use the wet-milling method to extract coconut oil from fresh coconut milk, are not transferring over the antioxidants present in fresh coconut. This would be one clear case where the raw food belief that no foods should be heated clearly has a detrimental effect. Lycopene in tomatoes  is another example where “no heat” means less nutrients. 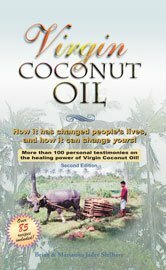 Bringing a traditionally-made virgin coconut oil that is not machine-made is certainly a challenge, however, if one desires wide distribution. It requires a lot of labor. The Tropical Traditions Gold Label brand of Virgin Coconut Oil  is the only widely distributed product that is made by traditional methods and employing heat in the process that we are aware of in the U.S. My wife and I brought this product into the market back in 2001, the first virgin coconut oil ever exported from the Philippines, and in 2006 it was tested at a university laboratory  and found to have antioxidant levels almost twice as high as the “no heat” virgin coconut oils on the market. Saturated fats are not prone to lipid oxidation. Once demonized as unhealthy and the cause of high cholesterol and heart disease, science is now confirming  the traditional cultural values of our parents’ and grandparents’ generations that not only are saturated fats not unhealthy, but that they are in fact healthy. For one thing, they do not oxidize and cause free radical damage in the body. Traditional saturated fats are coconut oil, palm oil, butter, lard, and beef tallow. The animal sources of saturated fats are best consumed from healthy animals grazed on pasture, as opposed to raised in CAFOs (confined animal feeding operations).